This portrait of Richard II is based on a full-length painting of the king at Westminster Abbey that is thought to have been painted in the 1390s while Richard was still alive. It resembles other images of Richard including his tomb effigy which he commissioned to be a 'counterfeit' of him. 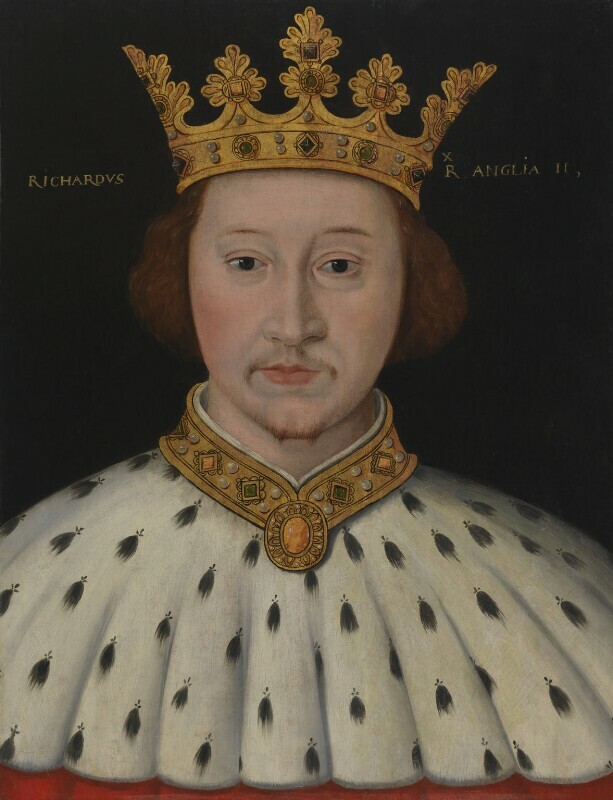 It is likely, therefore, that this portrait of Richard is one of the first true likenesses of an English king.